NEWARK, N.J. — The New Jersey Devils have acquired defenceman Mirco Mueller from the San Jose Sharks. San Jose got a second-round pick, 49th overall, and a fourth-round pick, 123rd overall. The Sharks also sent their fifth-round pick, 143rd overall, to New Jersey. The teams completed the deal just before the NHL's trade freeze for the Vegas expansion draft. Mueller spent most of last season in the minors and has six points in 54 career NHL games. 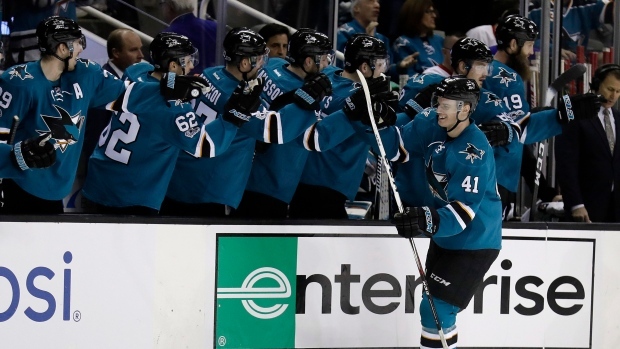 The Sharks risked losing the 22-year-old player in the expansion draft for nothing. General manager Doug Wilson says this is an opportunity for Mueller to continue to develop. The left-handed-shooting Swiss defender was the 18th pick in the 2013 draft.